It was not immediately known if the missile, which was expected to land in the Sea of Japan, was an intercontinental ballistic missile or another type of rocket. The launch, which occurred shortly before 11 a.m. Eastern time, had been expected by U.S. analysts who initially believed the launch date would be Thursday — the 64th anniversary of the signing of the armistice that ended fighting in the Korean war. But bad weather apparently scuttled the launch and it was moved back one day. 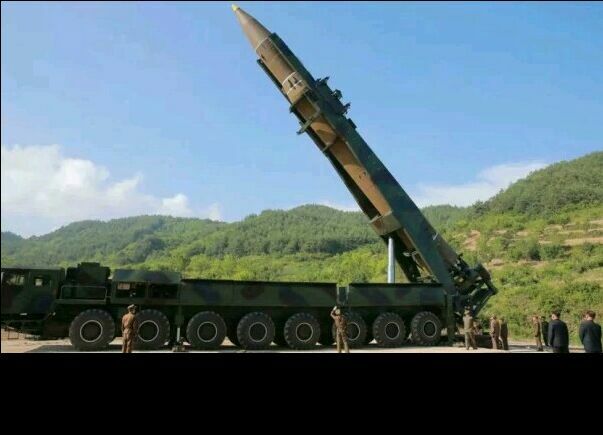 Friday’s launch is the first by North Korea since the rogue regime fired an ICBM on July 4 — timed to coincide with America’s Independence Day holiday. That ICBM test appeared to be successful; however, it was not known if, after the rocket reached space, its reentry vehicle sufficiently survived the trip back through the Earth’s atmosphere. Pyongyang was expected to keep attempting to perfect the technology — which one day could be used to deliver a nuclear weapon to the U.S. mainland.